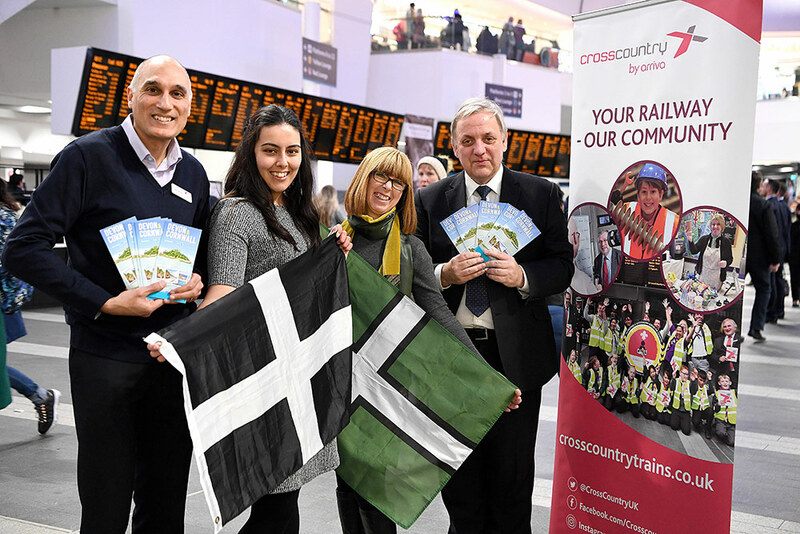 A new national rail promotion of Devon & Cornwall has been launched by the Devon & Cornwall Rail Partnership and CrossCountry. 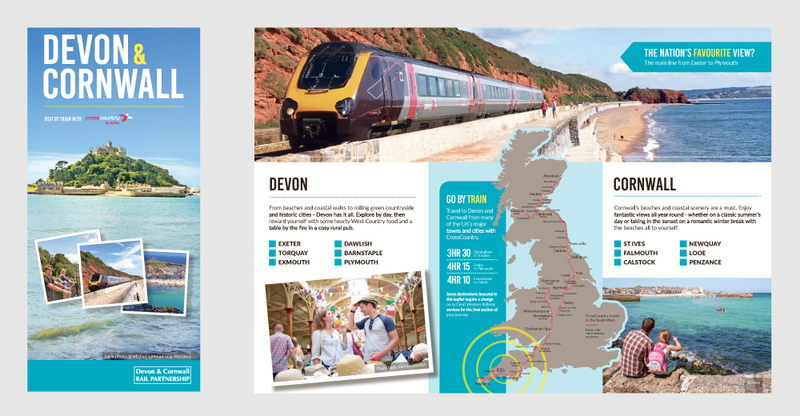 Centrepiece of the promotion is a “Devon & Cornwall – visit by train with CrossCountry” leaflet of which 50,000 are being distributed by the train operator through leaflet racks at principal stations throughout the country including Birmingham New Street, Manchester Piccadilly and Edinburgh Waverley. Online promotion is via the Partnership’s Great Scenic Railways website. Highlighted are the Partnership’s Foodie Guides, Rail Ale Trails and walks from the railway which feature restaurants, cafes, foodie events, pubs and walks all easily reached by train on one of the two counties’ branch lines. The promotion was launched at Birmingham New Street station by Partnership Manager Richard Burningham (pictured right) and CrossCountry Stakeholder Liaison Managers Faye Lambert and Jody Ball and Timetable Production Manager Rakesh Bansal . Funding for the promotion has come from CrossCountry’s Community Engagement Fund. The Devon & Cornwall Rail Partnership is a non-profit partnership of councils, the rail industry and the University of Plymouth. The Partnership works to promote use of trains, seek improvements to services and facilities, boost the local economy and link the community with the railway.